The Hutch 1-1/8" "Western H" Freestyle stem has the H in the top cap cut in the western font similar to old-school freestyle stems. 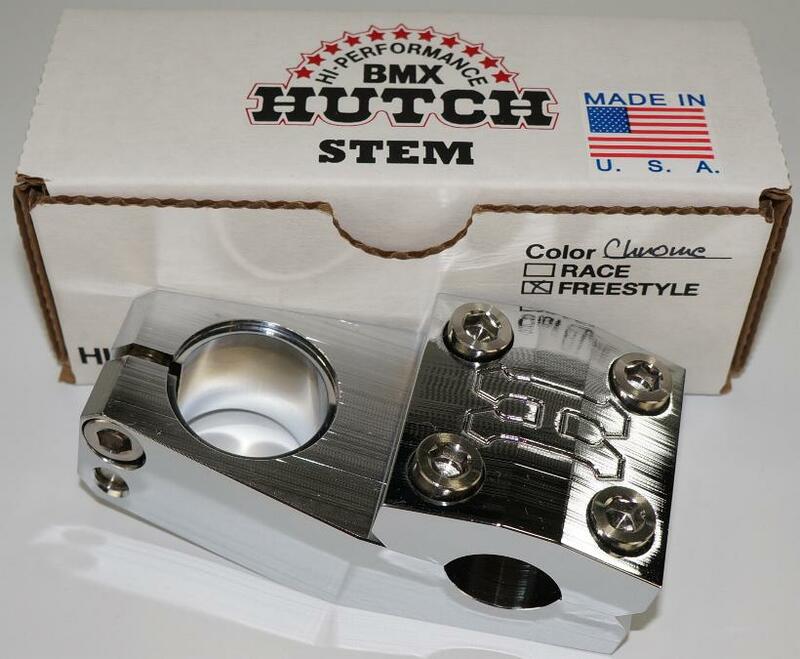 The Hutch stem is the only chrome-plated race stem on the market today, and the only stem to include all 6 bolts made from titanium. 53mm reach. Hutch stems are Made in USA. The optional Hutch Compression Bolt is chrome plated to match your stem and gives it that finished look. Hutch headsets also include a typical compression socket head cap screw and cover if you're on a budget. Both styles of compression are designed to be a perfect fit with the Hutch 1-1/8" stem.